The Stromtank makes your dreams come true. Audiophiles are always looking for clean, undisturbed power to achieve the next level of music quality with their hifi systems. One of the most important facts to hear the excellent quality of your audio-components is the purity and stability of the grid signal. Daily routine equipment like PCs or microwave influence the grid. 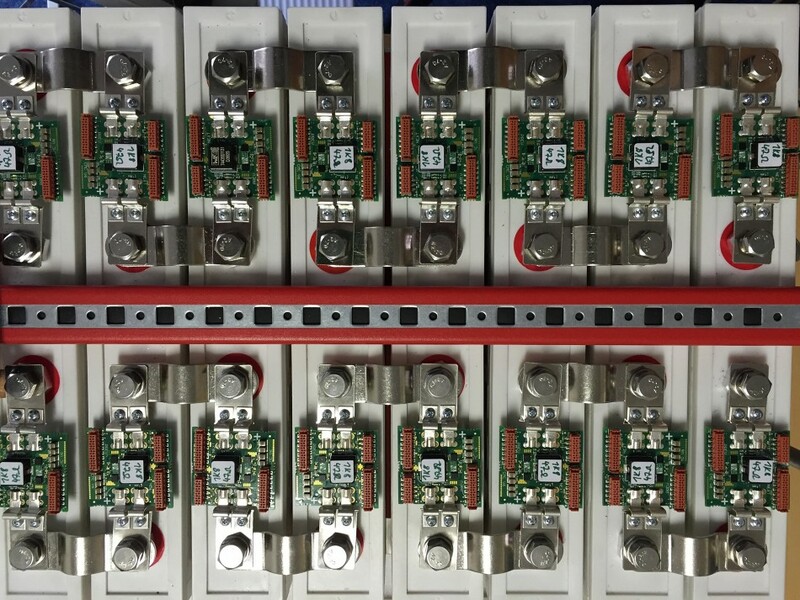 Everyone is connected to the same dirty grid polluted with DC-voltage, high level and frequencies. All interferences manipulate audio-quality and even the best power conditioners are not able to eliminate the disturbances. Audiophiles were waiting until deep in the night for a less-disturbed AC-grid to get good sound. Don’t wait until midnight to get the best sound! 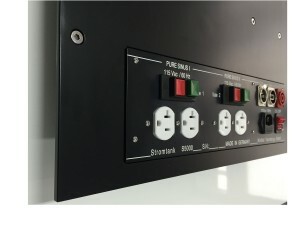 The Stromtank offers the unique possibility to separate your hifi-system completely from the grid. The Stromtank is a high-power battery pack with integrated pure-sign wave converter power supply – totally disconnects your audio system from the grid. With the Stromtank you can enjoy up to 8 hours listening to music before it connects uninterrupted and automatically with the grid to recharge. During the recharging process you can listen without any interruptions. 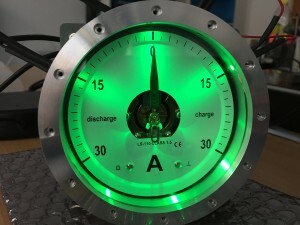 Even when the Stromtank is connected to the grid, the current pulses are not taken directly from the grid – they are absorbed by the battery. In the AC-connected mode the Stromtank creates a stable AC-supply (amplitude and frequency) and has less interaction between the grid and your audio- / video-setup. The creator of this audio-declaration of independence is Wolfgang Meletzky – designer and founder of high-end reference components. 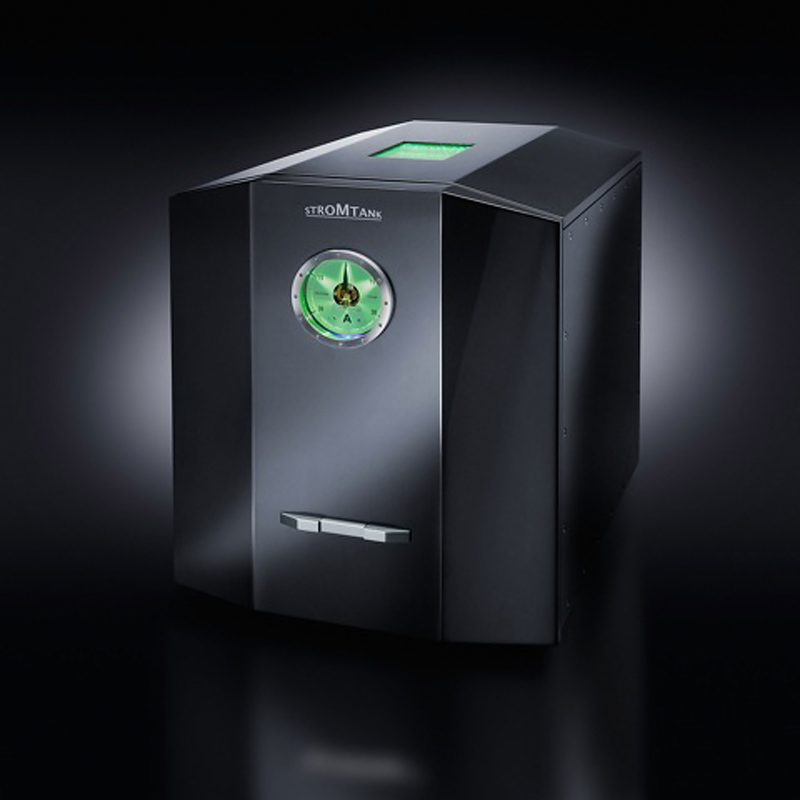 Stromtank – “made in Germany” – was developed in their Berlin factory. The tank is manufactured and assembled with noble and handpicked components. “There were a few bits, here and there, that just screamed for attention. One of my favorites, both for the outlandishness and for it’s sheer lust-worthiness, was the Stromtank, shown in the Audio Salon room, alongside some nifty gear from Audio Alchemy and Sabrina loudspeakers from Wilson Audio. First, I should note that this … monster … is, essentially, a $30k power conditioner. There’s absolutely no reason to need a $30k power conditioner.